On Monday, Youth Farmers in Frogtown tried out some news ways to eat an old favorite. 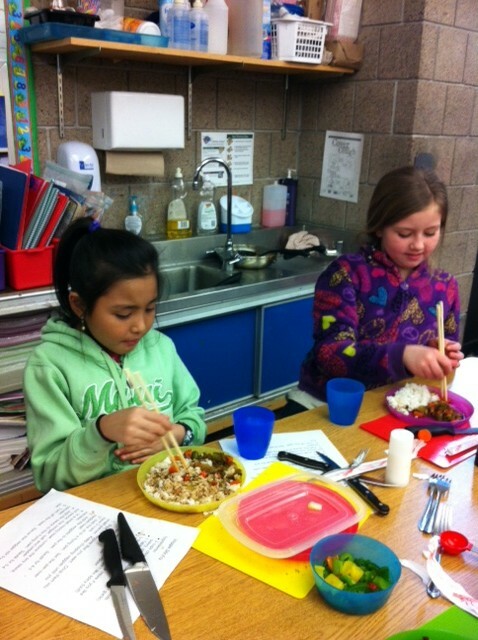 Youth prepared a yummy veggie stir fry using broccoli and bell peppers grown in the garden at Jackson Elementary and preserved for the winter. The best part of the meal was practicing using chopsticks to eat the stir fry. 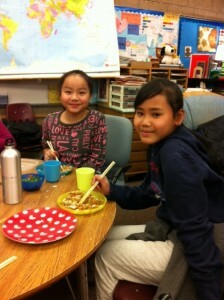 Hannah and Wa Eh enjoy the food they prepared. 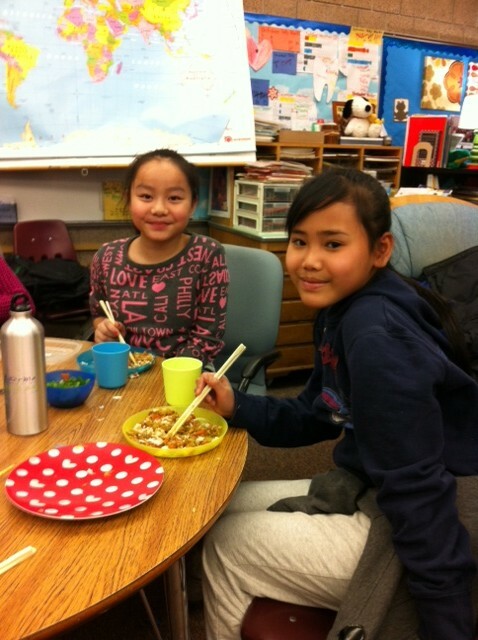 Pa Saw and Madison eat veggie stir fry with chopsticks. Previous PostPrevious A Parfait Day!